Dr. Junko is a Japanese Board Certified Doctor of Internal Medicine. She has more than 20 years of experience in Internal Medicine, General Medicine, Metabolic syndrome (hyperlipidemia, hypertension, diabetes, obesity, etc.) and travel medicine are her strong fields. She got her Degree of medicine from Tokyo Women’s Medical University, Tokyo, Japan. She later went on to do her Ph.D. in medicine from Jutendo University, Tokyo, Japan. Dr. Junko has lots of international experience having worked in Japan, France and China.While in Tokyo, she treated a number of patients in general medicine, haematology and did research on stem cells. She undertook a post-graduate course in Translational Medicine ‘Pharmaceutical Cancer’ at University of Manchester, UK. Her experiences in many countries helped her in understanding the health issues of patients from different cultural backgrounds. 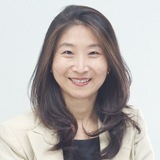 Dr. Junko’s special interests are General Internal Medicine, Metabolic Syndrome (diabetes, hyperlipidemia, hypertension and obesity among others), Travel Medicine and Vaccination. Dr. Junko is fluent in Japanese, English, French and basic Chinese.